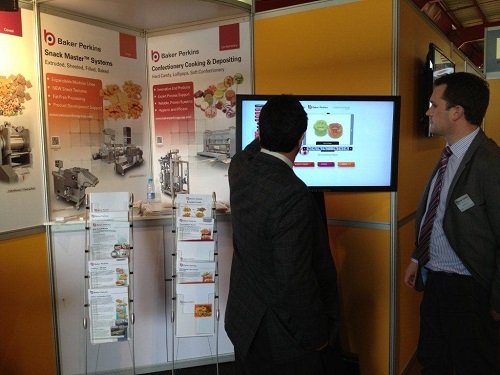 Baker Perkins stressed its process and product innovation capability for the ready-to-eat cereal sector at Propak Africa in Johannesburg from March 12 to 15, 2013 (Courlanders Agencies stand J12/K7). Systems for both extruded and traditionally cooked cereals are included in the Cereal Master™ portfolio. Twin-screw cooker extrusion is a reliable and versatile process, and a range of post-extrusion forming techniques are available as part of the Cereal Master EX™ system to add value and variety. These may be purchased with the extruder or added at a later date as business needs and customer tastes change. For example, a line producing direct expanded cereals such as corn balls, multigrain rings and alphabet shapes can be extended in stages to make a range of higher added-value products with sophisticated taste and texture combinations.